(NaturalHealth365) Did you know that every 3 seconds someone gets diagnosed with Alzheimer’s or dementia? Currently, Alzheimer’s is the 6th leading cause of death, kills more people than breast and prostate cancer combined and conventionally-trained medical professionals insist ‘there is no cure’ – offering little hope to those in need. I’ve been in the health and fitness industry for over 30 years and there’s no doubt, to me, that Alzheimer’s and other forms of dementia are the most misunderstood, cruelest and costly of all diseases. Think about it: even if you get diagnosed with cancer, you still have an opportunity to use your brain to think about a possible solution for your health problems. But, in the case of Alzheimer’s disease, that ability gets robbed from you. 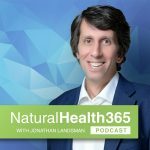 Today, on the NaturalHealth365 Podcast, we’ll reveal some very important information often ignored by the mainstream media and conventional medicine. The truth is the medical literature and valid scientific research offers a roadmap toward eliminating the threat of Alzheimer’s and other forms of dementia. Of course, the pharmaceutical industry has no financial interest in promoting these natural (effective) remedies. But, we the people demand the truth and that’s exactly what we’ll focus on today. Click here to order the Alzheimer’s and Dementia Summit and discover how to prevent and reverse Alzheimer’s and other forms of dementia – despite what you’ve been told by conventional medicine! Boost immune function and help yourself to AVOID disease – order the Immune Defense Summit today! Don’t let your dentist ruin your health. Get INSTANT access to the Holistic Oral Health Summit and find out how to properly remove mercury-based, silver fillings plus much more! But, now, are you ready for the good news? We have a unique opportunity to discover how to prevent, slow down and even reverse the symptoms of Alzheimer’s and dementia. On this program, we’ll talk about what you should do BEFORE memory loss is irreversible. Remember, taking action now is the key to protecting your brain health and overall wellbeing! Dr. Thomas Lewis holds a Ph.D. in Electrochemistry from MIT and received certification at the Harvard School of Public Health. He is an expert on Alzheimer’s and other neurodegenerative diseases. The post NH365 097: Alzheimer’s disease – The myths and lies exposed appeared first on Natural Health 365.